My boyfriend is in his final year in college and has been doing his final exams. Since we live in a small apartment I essentially moved back in with the parents for three weeks to give him space and quietness to study and to work on his dissertation. This meant I was away from my craft desk. And I totally underestimated how much I would miss it! I was miserable without being able to craft! I crocheted a fair bit which took the edge off, but I was craving a paper project! For the Fathers Day card I decided to use the Lawn Fawn Beep Boop Birthday stamp set. 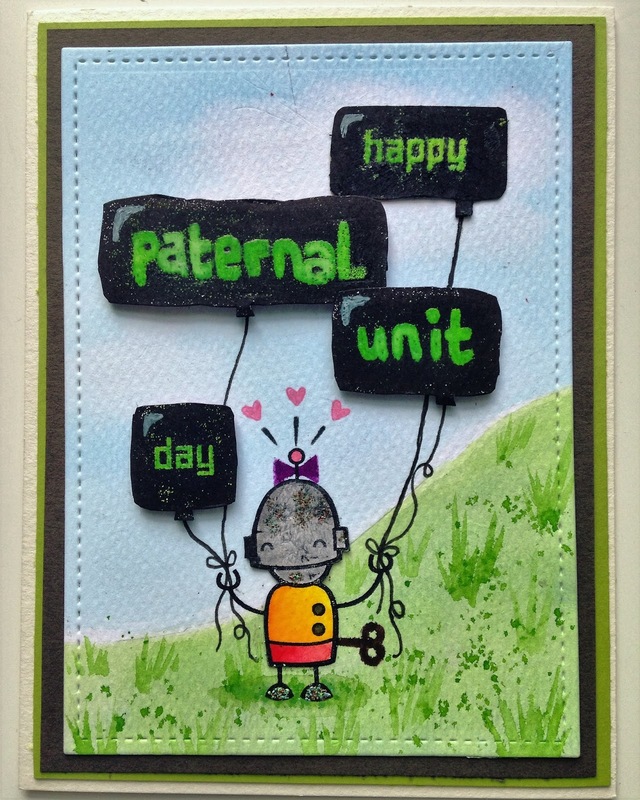 I often joke around with my parents saying ‘Hi Parental units or Maternal/Paternal unit!’ so I thought a robot card would be really fun. I used the balloon in the set side by side to make larger balloons which I coloured green. I then clear embossed the sentiment and coloured over it in black to give the impression of those old computer screens which used green font on black backgrounds. For the wedding card I chose mostly Prima papers from various paper packs. I fussy cut out the images and put together a layout. I added jute ribbon for texture (and because I love jute!) and I very lightly inked the edges of some of the papers with Tim Holtz distress ink in Brushed Corduroy. 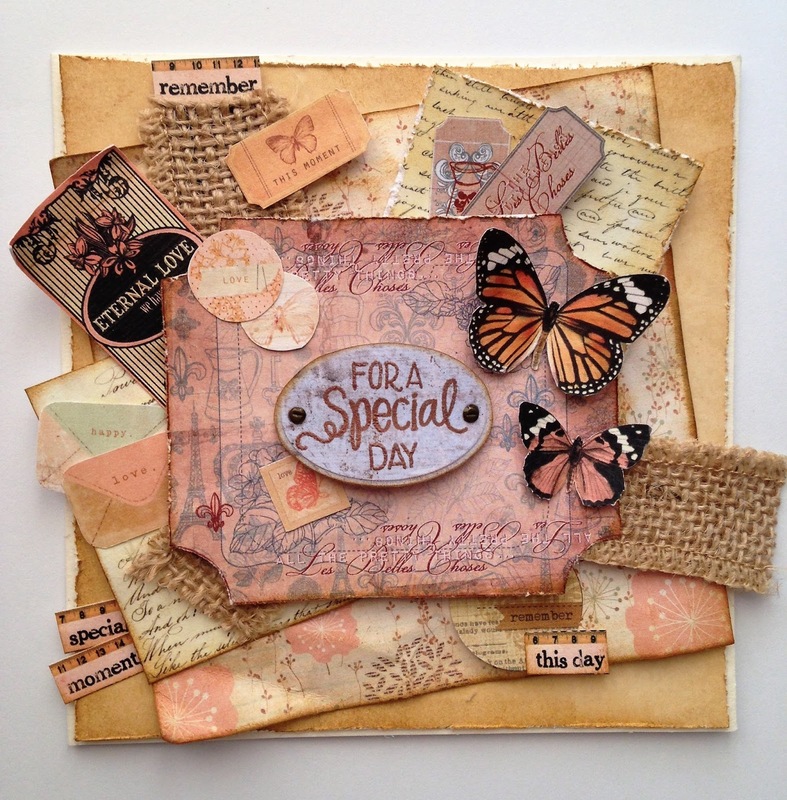 I heat embossed the sentiment in Copper embossing powder and used Tim Holtz mini screw style brads on each side. Its fairly rare that I make a card with no colouring and stamping (apart from sentiment) and I’m really happy with the outcome. I definitely want to try more cards like this. Next Post The Waiting is the Hardest Part!